Sunken Shrine 3F is the entrance to the Sunken Shrine. 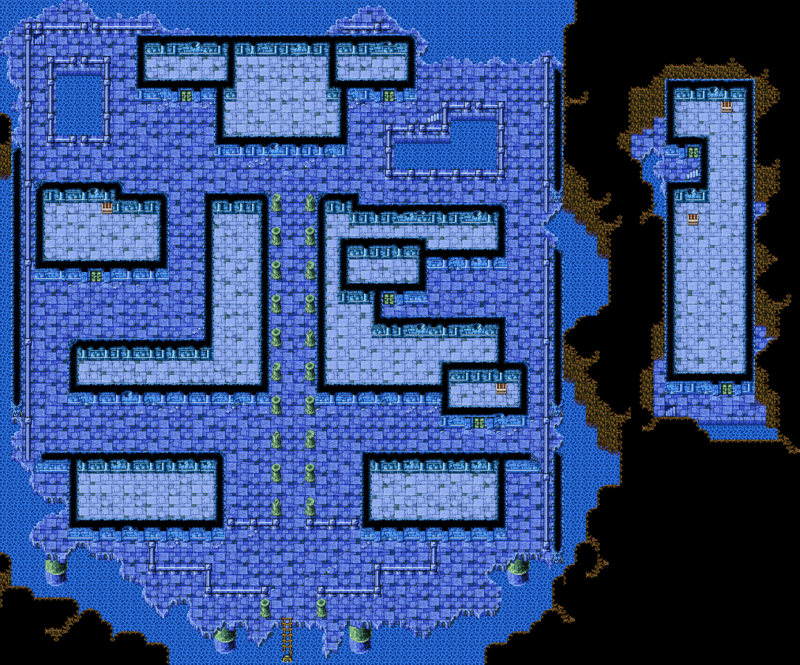 This can cause some confusion, as the Sunken Shrine is the only dungeon in Final Fantasy I where the entrance is located on an intermediate floor. All four treasure chests eventually accessed contain Gil. To exit the dungeon and return to Onrac, enter the barrel submarine located at the southernmost point of this map. If you wish to streamline your Sunken Shrine experience, take staircase #6 first; This will set you on the path to Sunken Shrine 5F to obtain the Rosetta Stone. After obtaining the Stone and returning to Sunken Shrine 3F, take staircase #7 to head towards the dungeon’s boss, Kraken, and the Water Crystal.